Are nuclear weapons useful for coercive diplomacy? Since 1945, most strategic thinking about nuclear weapons has focused on deterrence - using nuclear threats to prevent attacks against the nation's territory and interests. But an often overlooked question is whether nuclear threats can also coerce adversaries to relinquish possessions or change their behavior. Can nuclear weapons be used to blackmail other countries? The prevailing wisdom is that nuclear weapons are useful for coercion, but this book shows that this view is badly misguided. Nuclear weapons are useful mainly for deterrence and self-defense, not for coercion. 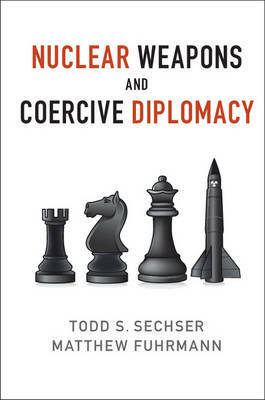 The authors evaluate the role of nuclear weapons in several foreign policy contexts and present a trove of new quantitative and historical evidence that nuclear weapons do not help countries achieve better results in coercive diplomacy. The evidence is clear: the benefits of possessing nuclear weapons are almost exclusively defensive, not offensive.